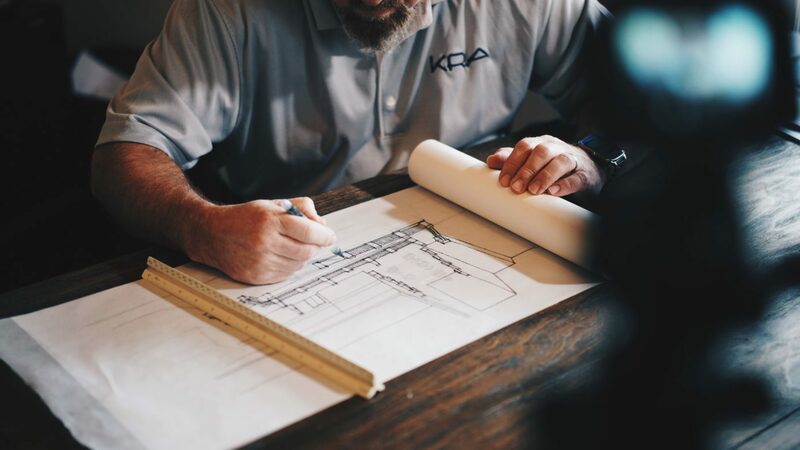 Discussing a project’s budget may not be on any architect’s or homeowner’s list of favorite things to do, but it doesn’t have to be a hassle. In fact, openly discussing the project’s financial parameters can be a collaborative process that lays the groundwork for a partnership of trust and mutual benefit. In light of that, it’s worth your while to master the art of making clients feel comfortable talking about money so that they can make decisions that are in line with their goals, both short-term and long-term. Here are some tips on how to you can make those budget conversations a win-win for everyone involved. Real people have budgets, and smart architects don’t encourage them to spend more than they can afford. For most people, the house you’re designing is the biggest purchase they’ll ever make. Even wealthy clients don’t want to waste their money: they might be willing to spend a lot on a house, but they still want to get their money’s worth. So make your clients feel comfortable about having budget limitations. Start by bringing the topic up yourself rather than waiting for the client to do it. Taking the initiative and asking about the budget matter-of-factly reassures your client that everyone has a price range. You’re also communicating that you’ll do whatever you can to help them get the house they want, within the parameters they give you. Nobody wants to feel like they’re giving something up or settling for less than what they really wanted. And that’s especially true when you’re talking about something like a home, where your clients will spend a good chunk of their lives. You can combat that by starting with a design that comes in just below the client’s budget and then asking them how they want to spend the money they have left. This tends to work well since interior details are the most common culprit when it comes to cost overruns. Once you’ve nailed down structural elements, clients can then choose internal upgrades depending on what’s most important to them. When you’re having that conversation, remember to frame choices in terms of the building’s life cycle. Open up the discussion around your clients’ future plans. If they plan to spend the rest of their lives in the home, then giving up something else to pay for their three-car garage with an attached workshop might be a good idea. If they plan to sell in a few years, then it would make more sense to spend that money on the things most buyers care more about, like bathrooms and kitchens. The 2008 bestseller, “Nudge: Improving Decisions about Health, Wealth, and Happiness,” introduced the concept of guided decision-making. By presenting options as a specific menu rather than an open-ended buffet, you can help clients make better decisions. Do you want a two-car garage or a three-car garage? How much energy-efficiency do you want to incorporate in your home’s design? How much are you willing to invest on the front end to reduce long-term expenses (such as maintenance, energy consumption, etc.)? How much are you willing to pay for sustainability? Which matters more? A kitchen worthy of a high-end restaurant, or landscaping guaranteed to win awards? Note that these suggested questions cover not only the upfront cost of various options, but the life cycle costs as well. Building a home for maximum energy-efficiency costs more during construction but saves money in the long term, which can be a strong selling point for buyers who have the ability to spend more upfront. Clients with fewer immediate resources might be willing to pay more over the home’s life cycle in order to save money initially. Either way, having the conversation helps clarify goals for both you and your client. What do I give up in moving from high-end windows to medium-grade? What roofing materials can I choose, and what do I gain by moving from a low-cost option to a more expensive one? What are the resale implications of having a three-car garage vs. a two-car garage? While it may be clear that one option costs a lot more than another, clients may not understand why the cost difference exists and which day-to-day differences they’ll notice. In addition, being able to guide clients through discussions like why spending more money on high-quality, durable flooring upfront will save them time and maintenance costs down the road, for example, can make decisions easier for clients with budget constraints. What does that look like in real life? One approach is to start with a boilerplate questionnaire that guides clients through a series of decisions that have a significant impact on the budget. Once they’ve established that baseline, the client and the architect then have a framework for discussing adjustments. It’s inevitable for people to have budgets, and so it’s to your benefit to make them comfortable discussing their financial constraints in realistic terms. Being able to discuss budgetary concerns with ease leads to smoother projects and happier clients who bring you repeat business. It’s a payoff that’s well worth the minimal investment of talking openly about a touchy subject.